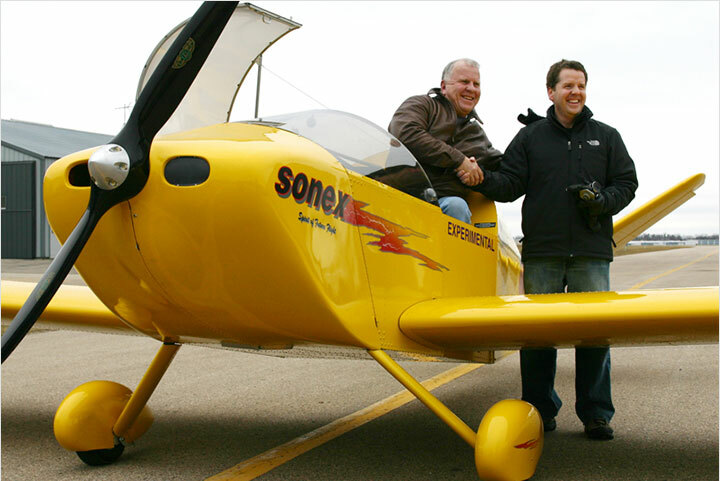 August 11, 2009: Sonex Aircraft, LLC Unveils SubSonex Jet Prototype! Okay, so maybe we’re guilty of a little carbon trading for the e-Flight Initiative with this aircraft, but nobody can deny that every pilot’s fantasy is to own and fly a jet! 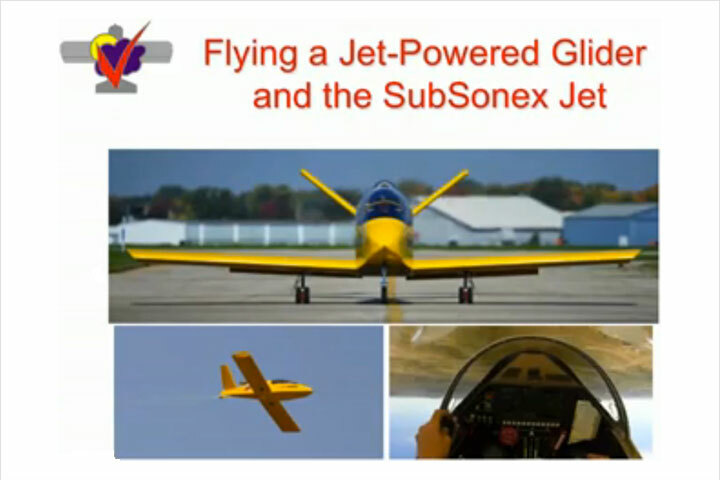 The SubSonex is designed to capitalize on new generation small turbine engines, possibly using alternative biofuels, to give pilots of more average means the title of Jet Jock. Don’t ask us about service ceilings, range or baggage… SubSonex is all about taking a thrilling rocket ride around the neighborhood! Sonex is extremely pleased at the high level of excitement and enthusiasm that greeted the unveiling of our 3 new Research and Development Programs. All of these programs appeal to different audiences but are all united in providing new and exciting products for Sport Aviation in the traditional Sonex themes of Affordability, Simplicity, Versatility, Performance, Quality, Engineering, and Ease-of-Maintenance. Note that these new concepts DO NOT compete with current Sonex Aircraft products or confuse the market with similar products. Sonex will continue to post the latest information on all 3 of these programs on this web site. Be sure to check this site, and the SonexTalk discussion group regularly for updates. One special note. None of these Concept R&D products are being offered for sale at this time. All are considered under development. No additional information regarding pricing, availability, or technical information will be released at this time and inquiries regarding any of these topics will not be responded to. We do encourage you to submit your feedback and express your interest in these projects, however, as all public input will be compiled and considered by the Hornets’ Nest Research and Development team. 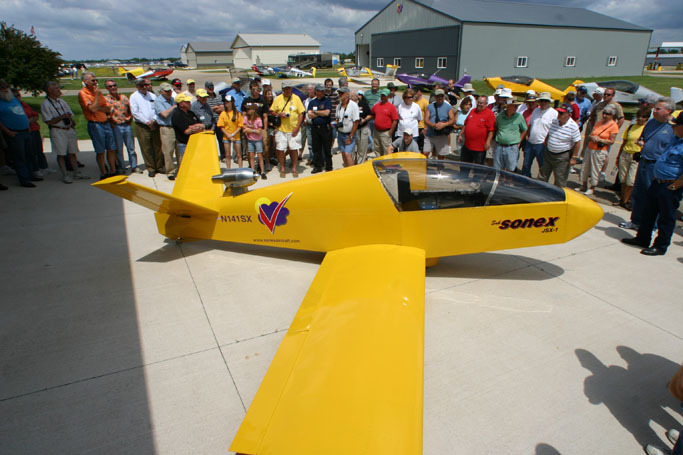 The SubSonex has been a personal dream of Sonex Founder and EAA Hall-of-Fame designer John Monnett’s for a long time. 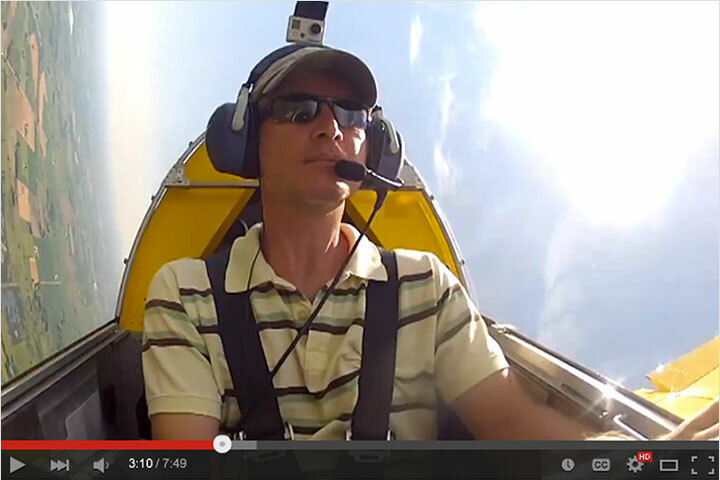 The goal is to provide a robust yet inexpensive performance turbine-powered aircraft for the recreational pilot. Those with a need for speed are naturally attracted to this beautiful design. According to John, it will be as close as you can get to strapping on a jet pack and going for a ride while still flying in an airplane. Like all other aircraft in its family, the SubSonex was designed from the ground up for its specific mission. It shares no common parts with the rest of the family of aircraft, but it is very similar in its construction. It also has removable wings for transportation and storage, just like the rest of the Sonex Family. The biggest challenge that this project faces is the engine. Jet Engine Development in the size we require for the SubSonex has come from two areas. Model Jet Turbine designers who have scaled up their designs and established military and commercial Jet Turbine manufacturers who have scaled down their designs or modified engines designed for other uses, like Auxillary Power Units (APU’s) on aircraft and helicopters. 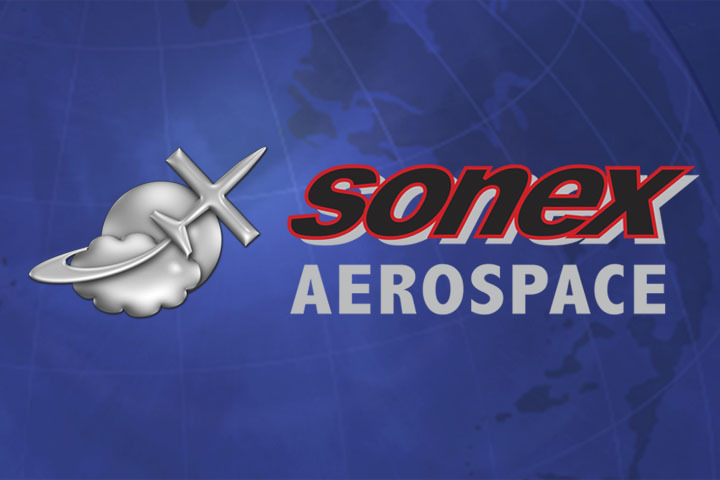 To excite the flying public and show that Sonex Aircraft is interested in expanding into markets beyond traditional/conventional flight boundaries. 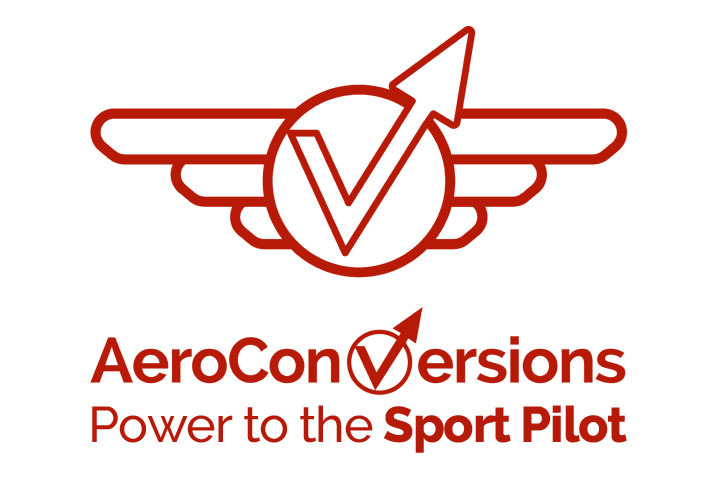 To challenge current and future Jet Turbine Manufacturers to meet what we see as a potential high-volume market for a personal recreational jet. This paid off as we met with a number of manufacturers who showed interest in working with Sonex for our 170-200 lb thrust needs. Can the concept SubSonex unveiled at AirVenture Fly? Yes, the SubSonex unveiled at AirVenture is a complete AirFrame. It is our intention to fly the N141SX prototype aircraft as it was displayed. Will the Wings be removable? 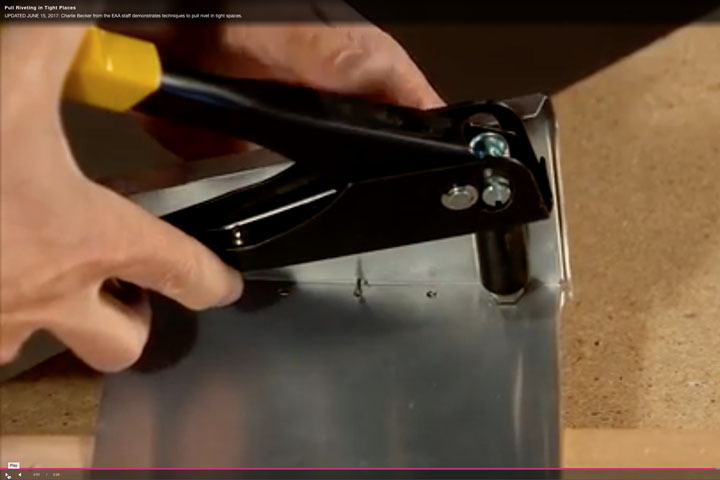 Yes, the SubSonex has removable wings just like the Sonex, Waiex, and Xenos for transportation and storage. Will the SubSonex be available as a plans-built Aircraft? No. The SubSonex will be offered only as a complete kit. First, the SubSonex must undergo a rigorous round of flight testing with a Jet Turbine that is reasonably priced and fully supported. Depending on the engine options available, this could take months or years. Note that the largest part of the price unknown is the engine itself. We have seen a number of companies express interest in working with Sonex to develop their motors for this exciting project. Will Sport Pilots be able to fly the SubSonex? No. The SubSonex does not fit into the Sport Pilot Performance Box. It can, however, be flown by Private Pilots with no additional ratings. The reason it does not require any additional rating is that it is an Experimental-Amateur Built Aircraft under 12,500 pounds. Does the SubSonex share any parts with the Sonex, Waiex, or Xenos? No. As stated above, the SubSonex is a brand-new aircraft developed for its specific mission.